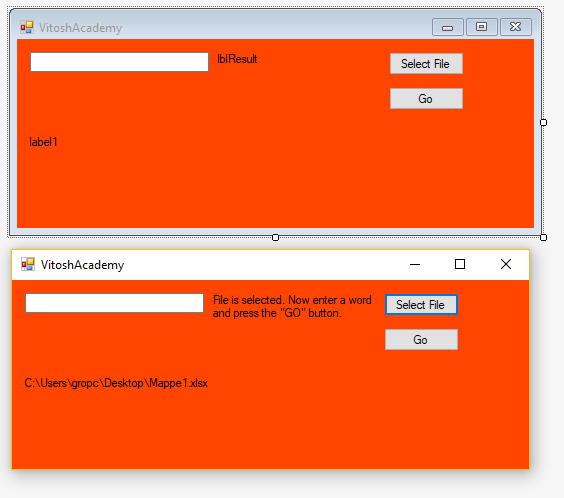 Using Visual Studio and Excel is actually quite fun – the Visual Studio advanced environment provides a bit more possibilities than the Visual Basic Editor, built-in Excel. In this article, about a year ago I have shown how to loop through Excel files with a C# program. The task today is to build a small program, which opens an Excel file, searches within for a given word and returns information about the column and the row on which the word was found. ‹ VBA – Why Range.Find() sometimes mistakes January with November and Febrary with December?